CELEBRATE THIS YEARS VALENTINES DAY WITH A UNIQUE PHOTO SHOOT EXPERIENCE! As the biggest day in the love calendar is fast approaching, we thought we would celebrate with a fantastic offer for those of you who would like to surprise your partner with a fabulous photo shoot to remember. How many photo of you and your partner do you actually have of the two of you together that you both really love? See below how to win this shoot for free!!!!! OUR FABULOUS VALENTINES SPECIAL OFFER TO YOU…. 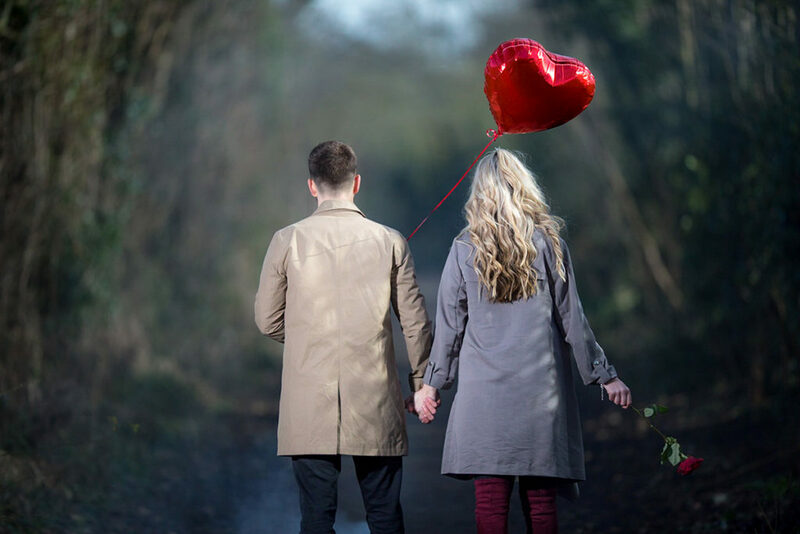 Normally our couples portrait photo shoots cost £125 however as we are helpless romantics, we always offer something truly magical for Valentines day. The downside of this offer is we HAVE to limited it to only 7 vouchers which are offered on a first come first serve basis – NO EXCEPTIONS !!! NORMALLY £125 – VALENTINES OFFER ONLY £30 – limited to 7 vouchers only !!!! We are offering a fabulous romantic photoshoot lasting up to three hours, which is perfect for a loving, slow romantic walk in the woods, by your favorite river, coffee shop or another special location or combinations of locations of your choosing. We shoot a range of un-posed un-orchestrated photos as well as some beautiful couples portraits which gives you a fantastic selection to choose from. Included in our Valentines Special Offer is your choice of an 8 inch by 10 inch photo which is professionally retouched, blemishes are removed and printed on Pro Luster photo paper at our London based prolab, it’s then mounted and presented to you with our compliments ready for framing.